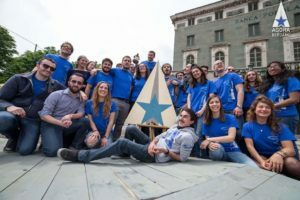 The winner of Local of the Month of May is none other than AEGEE-Bergamo! The organiser of the spring Agora 2016 hosted 1000 people, a huge number of participants even for an Agora. 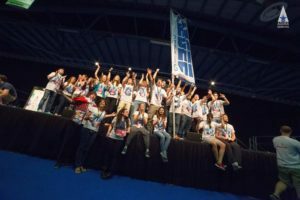 We had a talk with the board of AEGEE-Bergamo about the challenges encountered for organising AEGEE’s biggest statutory event, about their antenna and of course, about their next plans! 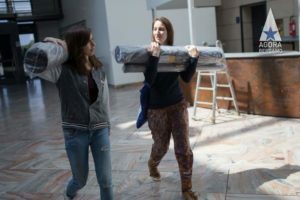 If you attended Spring Agora Bergamo and want to know more from the organisers’ point of view, here you can read all about it. 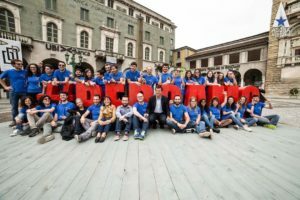 The AEGEEan: To begin with, congratulations for organising Spring Agora Bergamo! What was your overall impression as organisers? AEGEE-Bergamo: First of all, it is an honour for all of us to be named Local of the Month. Organising a statutory event is a very complex goal, trying to do it hosting 1000 people is an even bigger challenge. Now that Spring Agora Bergamo 2016 is over, we, as organisers, can only say that it has been a success and we are really proud of what we achieved. We really worked hard last year preparing everything, and then, on arrival day, everything seemed to finish in the blink of an eye. It was great, especially because there were 1000 smiles surrounding us during those days. What was the biggest challenge you faced before and also during Agora? While we were organising the Agora, I guess the most difficult part was the FR, and not because our team was not good enough, but because we actually needed a lot of money to guarantee a unique experience for 1000 people. Actually, the FR team did an amazing job and thanks to them we did not have any problem. The problems we faced during the Agora were not enormous; the logistic team had the hardest job, especially by night when they had to deal with 1000 people who wanted to reach the club and were waiting for the buses to come, or during meals, for example. What could you have managed to do better and why? Our team was very focused on small details, thanks to Paolo who did an amazing job as Main Coordinator, and due to that I think we considered all the small things, which can make the difference between a great event and an unforgettable event (which was our goal). Also, there is a thin line which separates an unforgettable event in a positive way from an unforgettable disaster. Anyway, although we did a great job, there is always something that might have been done better. How many active members does your antenna have? Actually we have 100 members and 40 of them are active. It is a good number and I am happy we have grown a lot in the past 2 years. Had your antenna organised a statutory event before; if so, when? Well, before this Agora we organised a NWM in 2013, but this was the most important event we have ever organised in the history of our Antenna. Will it be the last? We will see, but I am sure it won’t. What would you say are the strengths and weaknesses of your antenna? 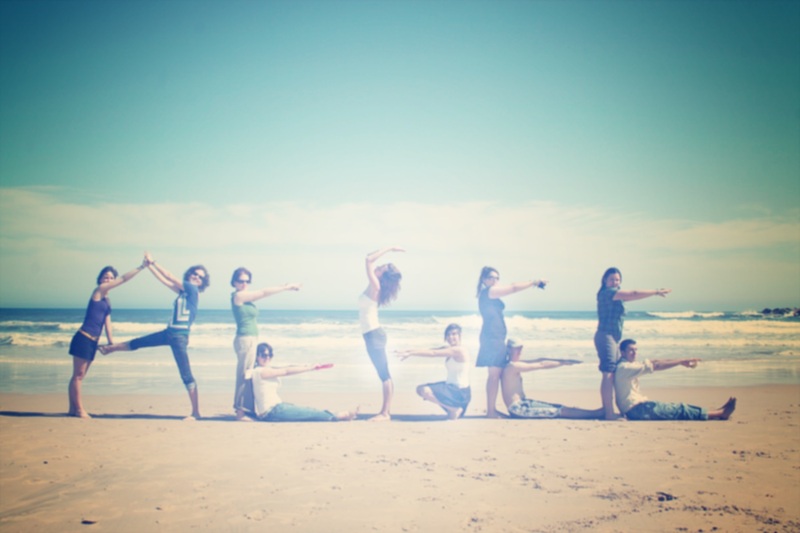 The strength of our Antenna is in the group, we can work together and we are a big family. Nevertheless, the strength and success of our projects is also due to the great help given by the City and the University. Something we can improve is our level of activity, not only at the local level, but also at the European level. We can always work harder, try to improve ourselves and our home: Europe. What are your next plans for this year? After the Agora, we took a little break to relax after a year of hard work, but now AEGEE-Bergamo is coming back to work and has a lot of surprises for you all. Stay tuned, we will demonstrate to you that there is Life after Agora! What would you recommend to antennae who want to organise a statutory event? We were a very untrained and small group only a few years ago, but with hard work and perseverance everyone can reach any goal. My suggestion is to work on the cohesion and the strength of the group; skills are important, but unity comes first. If the organisers are well trained and work as a single body, your event can only be successful.